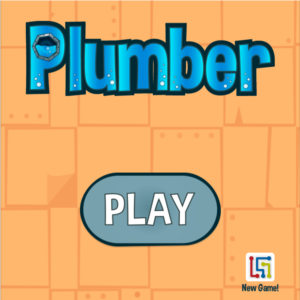 Plumber by Mobiloids is like many other plumber-style games before it. Tiles with various pipe shapes are placed on the screen. Your goal is to rotate pipe pieces in their current location to connect the start to the end. The faster you do it, the more points you get. Points can be used to simplify the map. There over 400 different puzzles. The levels get more challenging and following the tips and tricks can help solve the puzzle. What I dislike most about this Plumber is the always present advertising banner on every screen. Process of Elimination - Start from the end and eliminate paths that end disconnected. Don't neglect the end - Attempting to solve the level from the end will eliminate possible paths. Although the end square can be connected from any of the 4 sides, it can still help. Take a Break - Getting stuck on a level is frustrating. But taking a break and a fresh mind can sometimes help you find a solution. Don' Cheat - Trying to find Plumber Cheats isn't helping anything. If you're at that point, you are better off deleting the game.